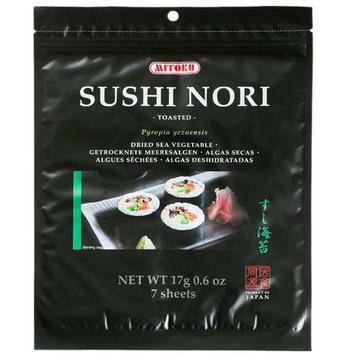 Ingredients: Japanese dried seaweed: Nori (Porphyra Tenera) - Toasted, Fine Quality. 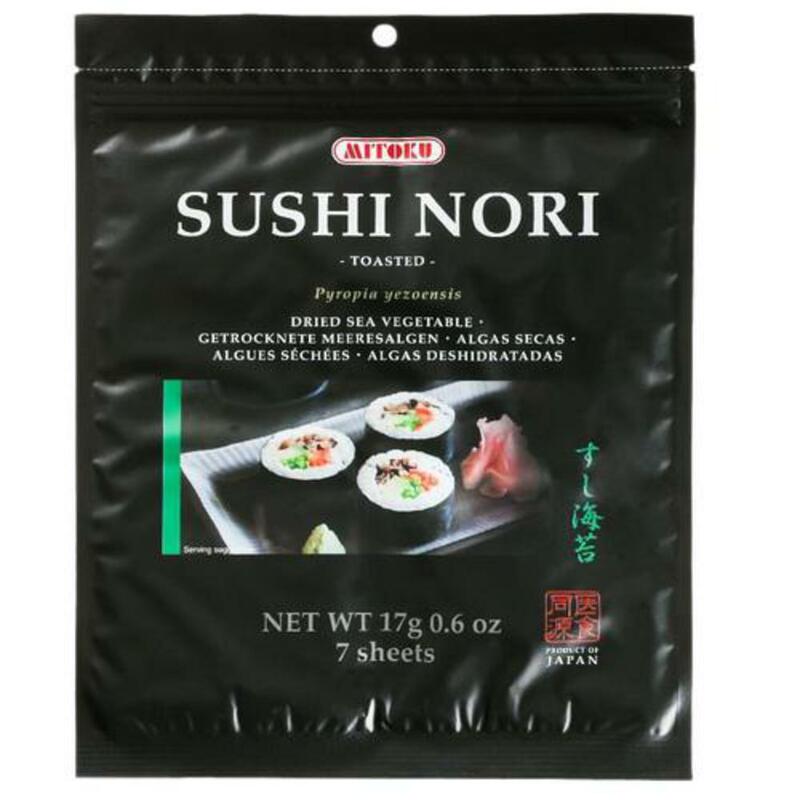 Versatile and ready to eat, Toasted Nori is a must for sushi, norimaki (sushi rolls), and rice balls ("onigiri"). Crumbled or cut into strips, it is an attractive garnish for grains, noodles, and soups.